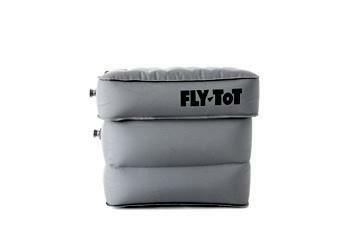 These simple instructions will provide the information you need to utilize The Original Fly Tot® inflatable cushion with ease and comfort. 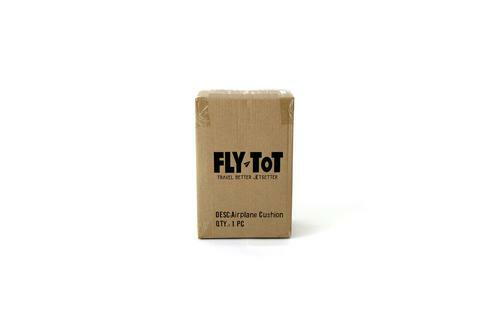 1 - A box like this one will arrive. 2 - Open it. 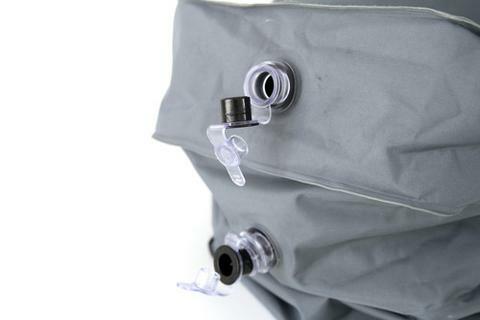 Inside you'll find The Original inflatable cushion, whistleless foot pump, tubing and strap. 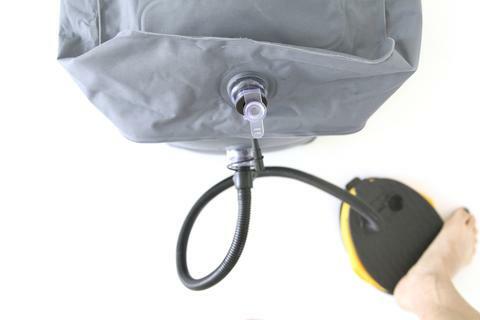 3 - To inflate, attach the tubing to the pump, into the side that says INFLATE. 4 - This is what the valve looks like completely open. 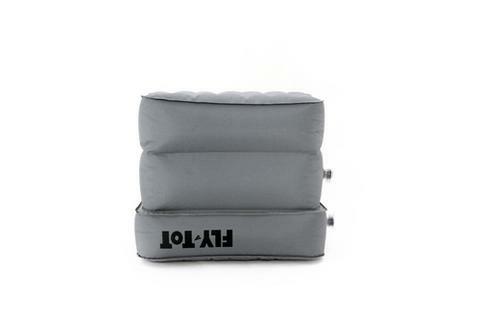 It is important that you place the cushion in the desired area of use, BEFORE you inflate because the air filled cushion will fill the space as it is inflated. 5 - Plug the valve when you're ready to inflate. 5A- Attach the connector piece if it's not already connected. 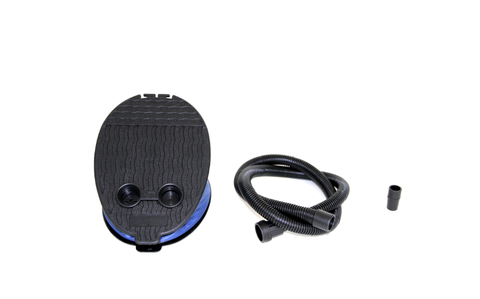 Some variations of the pump will have a separate connector piece. 6 - Start pumping. 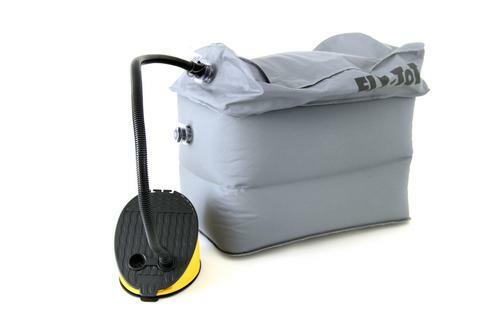 It takes under 3 minutes to fully inflate the entire cushion. 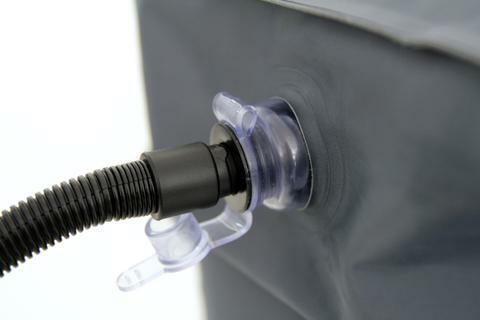 Insert tubing to the valve and TWIST to secure. 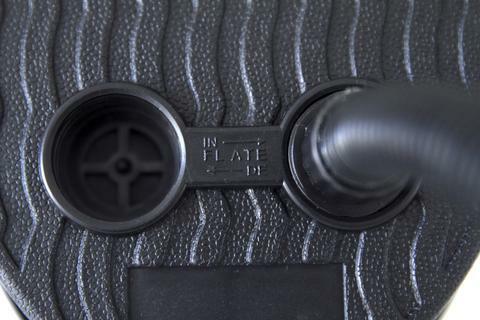 7 - After the bottom portion is fully pumped, seal the valve, repeat with the top portion. Be sure not to OVER-INFLATE. 8 - Pump top portion. 9 - This is what it looks like with both valves closed. See, it's so easy, even a 2 year-old can do it. 10 - Enjoy and relax. Flip the Fly-Tot to the narrower side for the super economy seats. Thank you for your support. Deflating the cushion takes merely seconds. 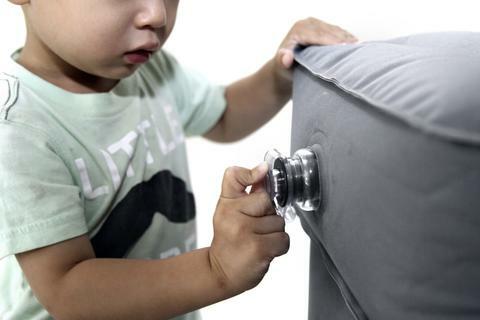 Pull open the inner valve and squeeze down to release the air. 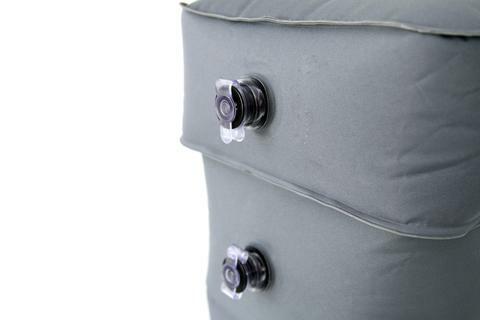 NOTE: You may notice during the descent of your flight, the cushion will slightly release some air and deflate. Don't worry, your cushion is fine. This is normal and a sign that you are close to your destination. 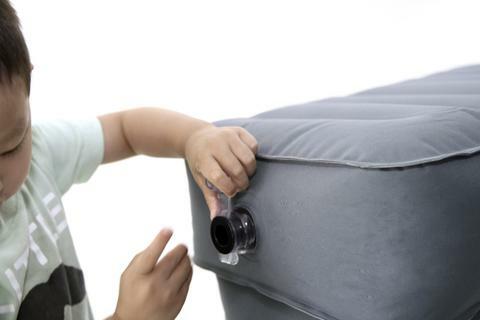 Tip #1 - To get comfortable with the way it works, we suggest you do a test run at home before the first time you actually fly with the cushion. Tip #2 - Do not over-inflate. 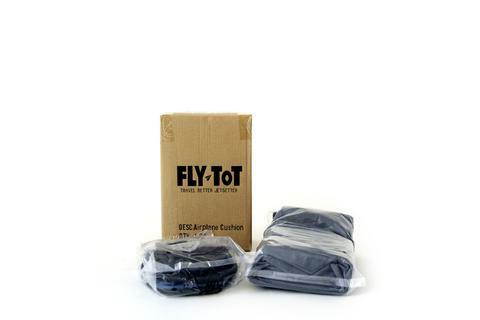 The Fly-Tot should be nice and firm, but allow a small depression when pressed with your hand. Over-inflation could cause leaks. 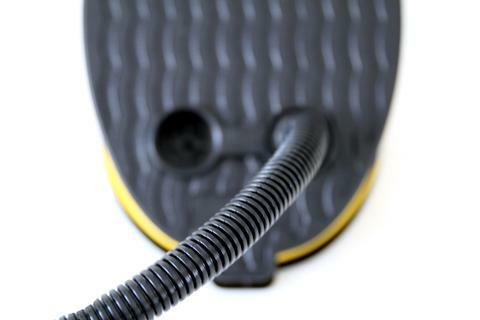 Do not inflate with an air compressor or other high pressure pump. 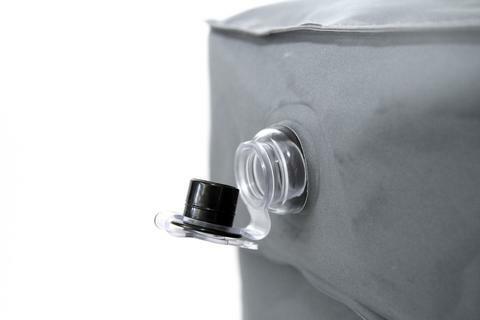 This item is designed to be inflated with a high volume of air but at a low pressure. Tip #3 - Keep away from heat sources. Keep out of direct sunlight when not in use. Tip #4 - The Original is intended to be used during the cruising portion of your flight and not to be used during take-off, landing or turbulence. Tip #5 - The Original is super easy to clean. Damp cloth and water is what we recommend. Never machine wash and dry. Visit our FAQ section for more answers to your questions. If you have any questions, please feel free to contact us.